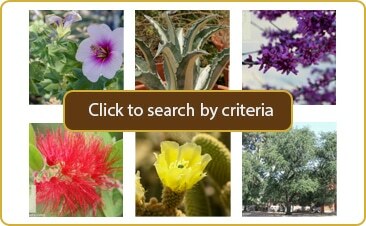 Every landscape in the Southwest should have at least one of these heat and drought tolerant beauties! 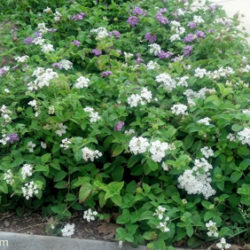 They seem to be made specifically for our arid climate, greeting the scorching desert heat with solid blankets of white flowers that butterflies find enticing. 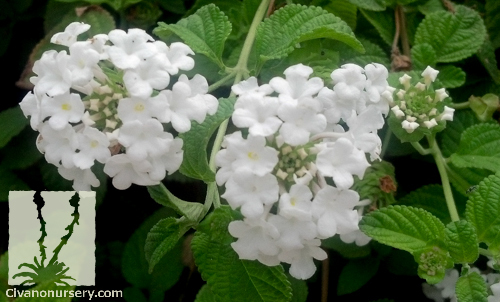 Trailing White Lantana is a fast grower that stays low and spreads wide, forming a full, dense groundcover in a single growing season. The small, sandpapery leaves are true-green and strongly aromatic when disturbed. 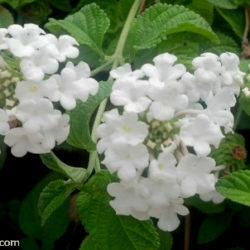 This distinctive aroma offends the sensitive noses of rabbits and deer, causing them to bypass lantana for tastier treats, thus leaving the rich flowers to be enjoyed by everyone else. 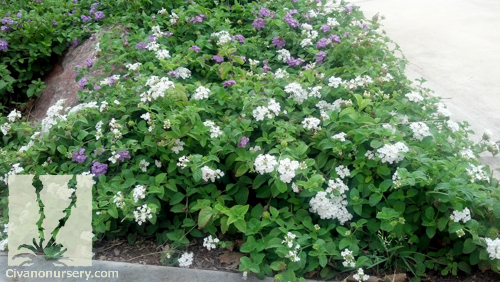 Try this plant in containers or on banks, where its cascading habit really shines!